Vacuum Pouches For Cheese by Indevco Sal. Supplier from Lebanon. Product Id 763140. For dairy products manufacturers, you may source our PE, PP, PA or EVOH Vacuum Pouches for Cheese with easy peel option for packaging chunk and block cheese; this co-extruded plastic film comes with water vapor, oxygen barrier and high puncture resistance. Co-extruded PE, PP, PA or EVOH vacuum pouch bags with easy peel option for packaging chunk and block cheese, water vapor, oxygen barrier, and high puncture resistance. Conserve aroma, enhance shelf life and provide high clarity and glossiness. 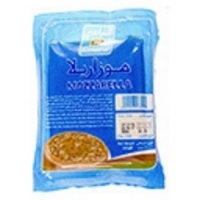 This product is manufactured by NAPCO, maufacturing plants. For dairy products manufacturers, you may source our PA / PE barrier Thermoformable Films for packing cheese chunks, cheese blocks or cheese slices. Our Film: Features high oxygen barrier and EVOH option for longer shelf life and high puncture resistance with optimized thickness Has excellent sealing performance & high clarity & glossiness Is suitable for high deep draw applications Has high stiffness option for hard product packaging Is suitable for pasteurization up to 90C / 45 min & suitable for deep freeze use Can be printed in up to 8 colors We also manufacture Barrier Films for Cheese, Vacuum Pouches for Cheese as well as Sliced Cheese Film. 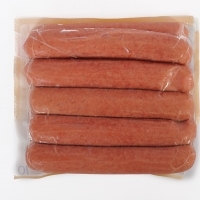 The need for Vacuum Pouches to get an extended shelf life of food products without adversely affecting their quality, one of the most effective and popular ways is vacuum packing. 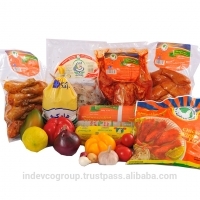 It is an effective way to prevent spoilage of food. These pouches reduce the effect of atmosphere in a package to protect and preserve the freshness of food products, such as tea, dried foods, meat, seafood, produce and cheese. In addition to food products. Dongguan Tzc Printing Co., Ltd.
Xiongxian Juren Paper And Plastic Packing Co., Ltd.
Fu Yang Plastic Packaging Corp.
Search More Like "Vacuum Pouches For Cheese"